Community gardens increase a sense of community ownership and stewardship. 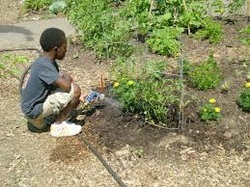 Community gardens foster the development of a community identity and spirit. Community gardens bring people together from a wide variety of backgrounds (age, race, culture, social class). Community gardens build community leaders.